Are you a strawberry lover? Can’t get enough of this pretty fruit? Then you search for the best wedding cake shops and wedding cake bakery near me ends here. At GurgaonBakers we make your wedding cake dreams come true. The simple yet sophisticated, this cake is just as classy as you. Sometimes you don’t feel like going over the top and wish to keep it simple yet elegant. 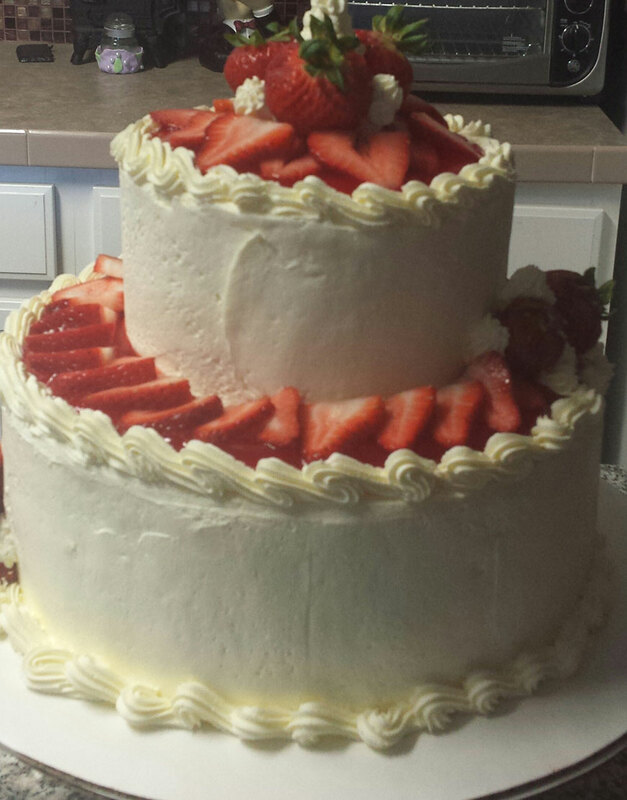 The “Strawberry Passion Wedding Cake” is ideal for the minimalist in you. This simple cake consists of two tiers of sponge cake covered with fresh cream, Layered and topped with fresh ripe strawberries. The color, flavour, and fruit can be customized as per your choice. These simple wedding cakes can fit any theme and decor. We assure you that the taste of our cakes will blow your mind. For cake orders and customization, just ring us at +91-124-4379-633 or Whatsapp us at +91-989-9988-185.